Gogi is the only one sibling for Jessy. Gogi (John P. George) has done his Engineering (B.E.) from Ghousia College of Engineering, Bangalore. He has been serving in Ansaldo- an Italian company- for long in Italy, Kolkata & Delhi, before he returned to Kerala to take care of the family business and property. Currently he is a professor in Sri Vellapally Nateshan's Engineering College, Kayamkulam. 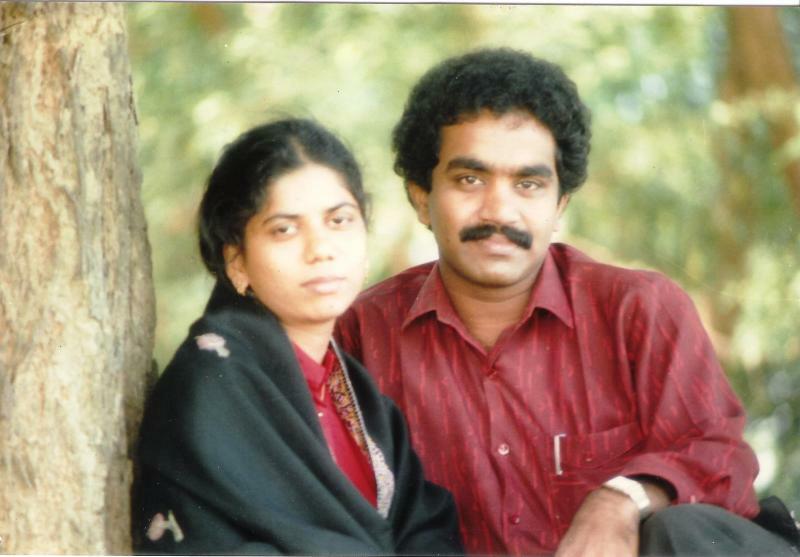 He married Linu from Puthusseril, Kayamkulam. They are blessed with two children -Soumya & Diya. Gogi is very religious and a very quiet person. He is socially very active and take part in all community related activities. He is also elected as the Sabha Council Member from Adoor Diocese. Linu, after working with Muthoottu Group for few years, currently supporting the family as the home maker. Gogi: He is a professional badminton player and a health freak. He actively participates in the Church Choir along with his family...﻿Divya & Dhanya enjoy their holidays to Kerala due to the company of Soumya & Diya. Soumya has completed her Engineering from Trivandrum and M. Tech (Robotics) from Amruthananda University. Soumya got married to Levin. Diya-the youngest of the family going to school and already very creative in culinery arts. It is very interesting to spend time with aliyan. He quickly plans for small trips in and around Kayamkulam.